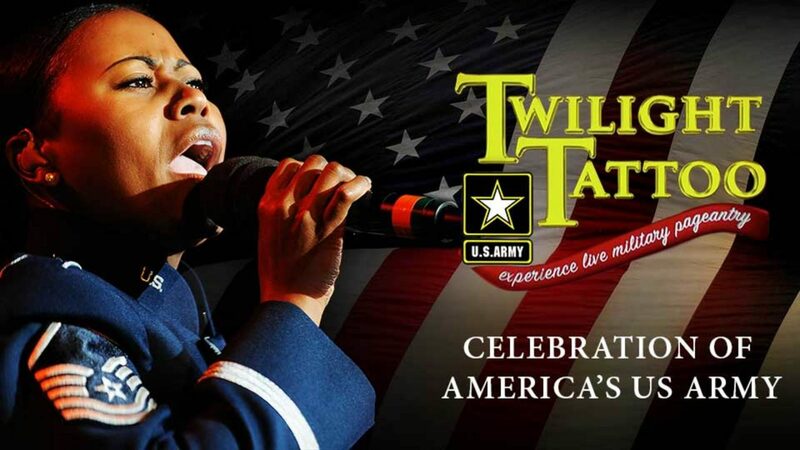 Twilight Tattoo celebrates America’s Army, the strength of our Nation. The US Army Band Twilight Tattoo hosted by Secretary of the Army Dr. Mark T. Esper. Twilight Tattoo is an hour-long, live-action military pageant featuring Soldiers from The 3rd U.S. Infantry Regiment (The Old Guard) and The U.S. Army Band "Pershing's Own.